ASUS has jumped headstrong into the emerging tablet market with three new devices, officially unveiled ahead of the Computex Show in Taiwan. In a direct assault on the Apple iPad, ASUS have announced two versions (10 and 12 inch) of the Eee Pad – a fully functional touch-screen tablet PC, loaded with an Intel Core 2 Duo CPU and running Windows 7 Home Premium. The smaller of the two Eee Pads will run a trimmed down version of the OS – Windows Embedded Compact 7. The Eee Pads will have similar multimedia, web browsing and e-book reading abilities to the iPad, but both are reported to feature full support for Adobe Flash. The Eee Pads will also come equipped with Wi-Fi, Web cam, USB and a reported 10 hours of battery life. Pricing is set to undercut the iPad, with the 10-inch Eee Pad likely to sell for between $399 and $449. The third device announced by ASUS, The Eee Tablet, is actually less a tablet and more a digital notebook, built for for handwritten notes, sketches and reading e-books. 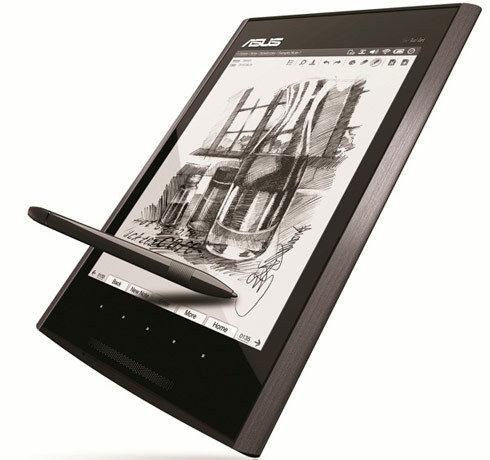 ASUS described the Eee Tablet as “one of the world’s most accurate and sensitive digital note taking devices, [that] gives the user the feel of writing on paper.” While the Eee Tablet has a greyscale screen, the device is reported to have some multimedia capabilities (exact types and formats are not yet clear) and comes loaded with a 2MP webcam – a first for any ereader. The Eee Tablet has Wi-Fi for downloading books and apps, but can also connect to a PC via USB. 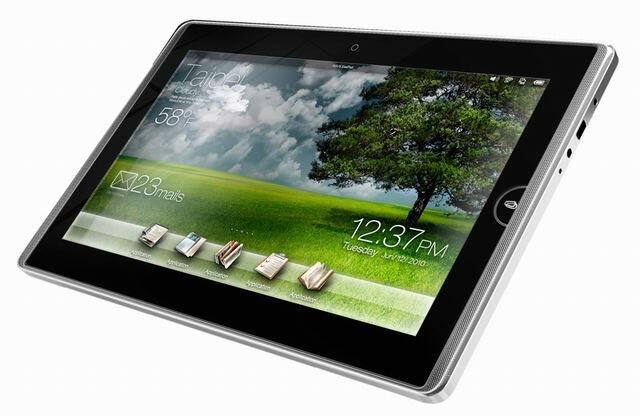 Given the specs, the Eee Tablet is looking like it could give the Kindle a run for its money.